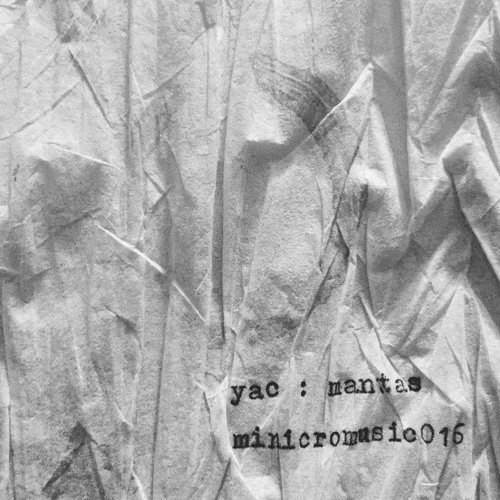 Yac – Mantas EP (minicromusic016) by Minicromusic Rec. „The roots of education are bitter, but the fruit is sweet.”	Aristotle It’s safe to say – in our opinion – that Yac understood these words and grasped their meaning. A fruit of his effort is sweet, indeed… We have dedicated Minicromusic Rec.’s 16th EP – „Mantas” – to his music. Yac’s newest release contains four extremely deep dub-techno tracks. If you’re looking for a rich, lifegiving sound, here it is… We hope that you will find these tunes interesting. We’ve prepared a limited edition of stamped cassette tapes and CD’s – all 100% handcrafted (except melting the plastic). Enjoy the depths! this release is dope guys! Well done!! !